It is a great pleasure for me to be among you today in my second home, Tunisia, a country bound to the Kingdom of Morocco by many time-honored historical and cultural ties as well as a longstanding friendship and a common destiny. I must say that whenever I visit Tunisia, I am overcome with feelings of emotion, pride and hope. The feelings of emotion are prompted by the fact that I feel at home here, among people to whom I am bound by sincere, mutual friendship and unwavering loyalty. This was clearly evidenced by the warm welcome which has been extended to me since I set foot in this hospitable land. As regards the feelings of pride, they stem from the brotherly bonds my royal family has with Tunisia and its esteemed people ― bonds which date back to time immemorial. These deeply-rooted spiritual and human relations are grounded in a firm belief in shared values of kinship and in the conviction of a common destiny. The visits made to Tunisia by my revered grandfather, His Majesty King Mohammed V – especially the one in 1957 when he inaugurated “Mabarrat Mohammed V” ― and by my venerable father, His Majesty King Hassan II ― may they rest in peace ― attest to this special bond. As for the feeling of hope, it stems from our common desire to consolidate the bonds of brotherhood and solidarity between our peoples, and to build fruitful cooperation ties, making our relationship a model for the Maghreb. Consistent with the spirit of these bonds, Tunisia has been the Maghreb country I have visited the most often. Moreover, I have always felt that the changes occurring in Tunisia are of interest to me, not only as the King of Morocco, but also as a Moroccan who cares deeply about Moroccan-Tunisian brotherhood. We are also pleased to note that Tunisia has played a pioneering role in many areas, especially with regard to promoting the status of women and addressing youth issues. It is a pleasure for me to address this esteemed Assembly, which symbolizes the new Tunisia. I commend the untiring efforts made by the Assembly’s President and its members, as well as the spirit of positive compromise embraced by all Assembly members. This has helped make the nation’s interests prevail over all other considerations. 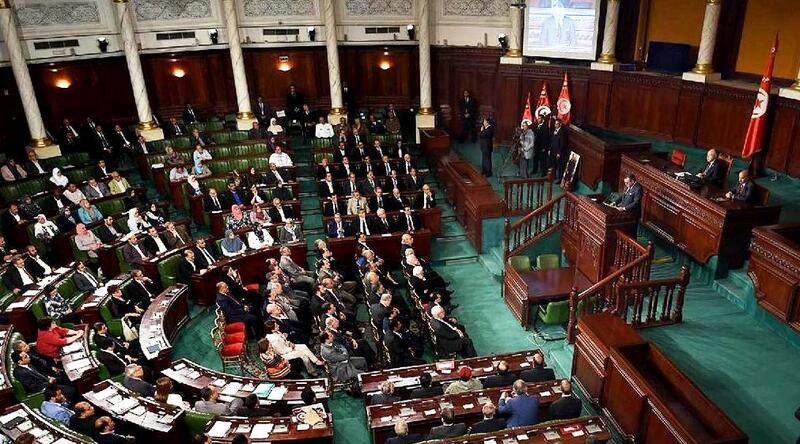 The crowning achievement is that a forward-looking Constitution has been adopted, ushering in a crucial period in the history of the sister nation, Tunisia. I should like to say how much I appreciate the important role played by His Excellency President Moncef Marzouki as well as Prime Minister Mehdi Jomâa. Similarly, I wish to commend the active involvement of all of the Tunisian nation’s forces in the national dialogue to ensure the success of the democratic transition process. I would like to reaffirm in this respect that we shall always stand by our Tunisian brothers and sisters, in good times and bad. I reiterate my support for the efforts being made to strengthen the foundations of the institution-based State, and to meet the legitimate aspirations of the Tunisian people for freedom, democracy, dignity and social justice within the framework of the country’s national sovereignty and territorial integrity. In this regard, carrying on with reforms in various sectors, together with the unanimous rejection of all forms of extremism, violence and terrorism by the entire Tunisian nation, constitute the best means whereby to fulfil the hopes and aspirations of Tunisian men and women, achieve political stability and improve the citizens’ socio-economic status. I am convinced that all Tunisian stakeholders are guided by the same positive and constructive spirit with a view to ensuring the success of the coming presidential and legislative elections. As a token of my loyalty to the common struggle and cultural heritage of our two peoples, I am determined to maintain my earnest efforts to further promote the bonds of brotherhood, cooperation and solidarity between our two countries in various fields so that our relations may develop into a model strategic partnership. In this regard, our two countries’ common will and determination should translate into large-scale, promising projects, especially in priority areas in which our citizens are our foremost concern. These projects should be based on a comprehensive, integrated approach to address human development issues, particularly those pertaining to education, training, employment, health, women and youth. By making the most of the outstanding Moroccan-Tunisian relationship, we would be providing the most convincing and practical embodiment of the complementarity of Maghreb countries. To achieve the ambition of building a large, strong Maghreb bloc which is able to play its political, economic, social and security role, our action must be based on solid bilateral relations between the five Maghreb countries on the one hand, and on integration-oriented projects that enhance the standing and evolution of the Maghreb Union, on the other. 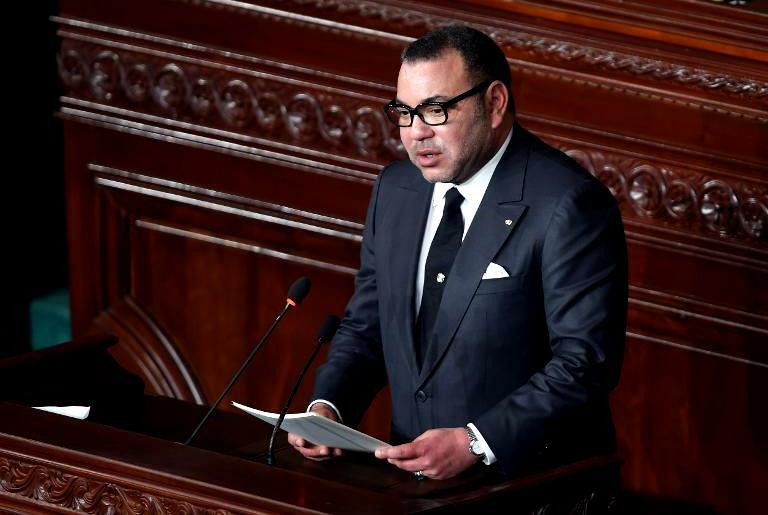 The Kingdom of Morocco will spare no effort to further strengthen its relations with the other Maghreb countries which are guided by the same will, for I believe that bilateral cooperation is the rock-solid foundation of Maghreb joint action. The Maghreb region has a date with history it should not miss. Nor should our Union remain insensitive to the logic of history. 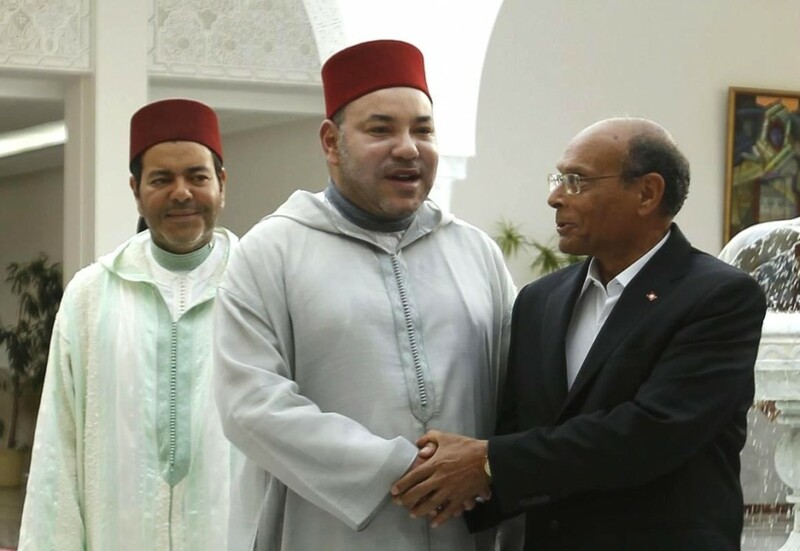 The regrettable obstruction of the Maghreb Union’s evolution is preventing us from making the most of the vast potential and capabilities available in Maghreb countries. This also poses a serious risk for the future of our region, preventing it from keeping pace with predominant global trends whose key features are the emergence of blocs, complementarity and integration. These are, indeed, the means for fulfilling people’s legitimate aspirations for further progress, prosperity, security and stability. Those who believe a country can single-handedly address development issues and meet the legitimate aspirations of its people are wrong, especially when it comes to meeting the demands of Maghreb youth, who are our greatest asset. The Maghreb Union is no longer a mere option or a political luxury; it has become a pressing popular demand and an inevitable strategic goal in the region. For all these reasons, I have, for years, advocated the advent of a new Maghreb order which reflects the letter and spirit of the Marrakech founding treaty adopted twenty-five years ago. Such a new order would make it possible for our five countries to be in tune with the rapid changes occurring in the region by building on a comprehensive, participatory approach that enables our countries to rise to various development and security challenges. Accordingly, the countries of the Great Maghreb are called upon, more than ever, to show a genuine will to overcome the artificial hurdles and obstacles hindering the effective launching of our Union in an environment characterized by trust, dialogue, good neighborliness and mutual respect for our national specific features. Comprehensive development for the benefit of our peoples cannot be achieved unless we create the right conditions for the implementation of major integration-oriented projects, especially by completing the establishment of a Maghreb free-trade zone and building basic infrastructure and communication networks to facilitate the free movement of people, services, goods and capital between the countries of the Great Maghreb. This will open up more promising prospects for development and bring about greater opportunities for the creation of wealth and jobs, particularly for young people. I am reiterating my call for an integrated Maghreb order because I am deeply convinced of the important role the Arab Maghreb Union can play in supporting Arab and Islamic causes, particularly the Palestinian question. The call I am making shows how keen I am to ensure the Maghreb Union becomes an influential player in Africa as we give regional African groupings a more prominent role. The advent of an integrated Maghreb should be the result of a pragmatic approach and should give tangible meaning to the aspirations of the region’s peoples. It would consolidate the partnership between Maghreb countries and their European neighbors in the framework of both the 5+5 West Mediterranean dialogue as well as in the larger context of Euro-Mediterranean cooperation. It is my firm belief that thanks to the genius of its sons and daughters, thanks to a strong commitment to community values and to patriotism, the Tunisian people will keep up their untiring efforts to consolidate the choice they made when they opted for peace, strengthen their national unity and sovereignty and achieve comprehensive development within the framework of the nation’s constitutional institutions. As staunch believers in the ideals of mankind as much as in the importance of their time-honored cultural heritage, I am sure Tunisians will carry on with this historic, irreversible process to achieve progress based human solidarity and peaceful coexistence.